The Canon Eos 5D Mk IV has big shoes to fill. The 5D Mk III is/was, at least according to Canon, the camera that's taken more major prize-winning photographs than any other. The Mk III was a classic for pros and enthusiasts alike, and a fantastic piece of kit. But now, like Han Solo (Spoilers) its time has come. The Mk IV adds some big, big upgrades. And the quality, you'll be reassured to learn, does not come cheap. 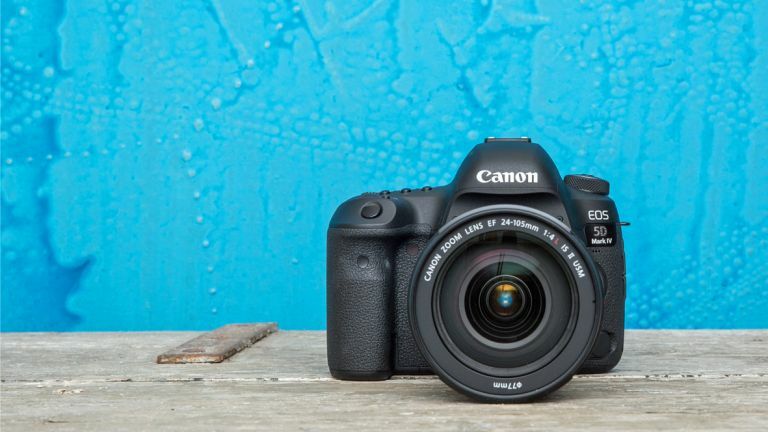 Sitting in the "sweet" spot (where "sweet" means "very expensive, but not into second mortgage territory") between prosumer and the really top end of the market, the 5D Mk IV is Canon's new flagship. The headline feature is the brand new 30.4-megapixel, full-frame CMOS sensor, the images from which are scrubbed to perfection by a pair of processors: a Digic 6 and a new Digic 6+. It also allows 4K video for the first time on this range, at a choice of 23.98, 24, 25 and 30 fps. There's also a 61-point autofocus setup, built-in digital lens optimizer, NFC, Wi-Fi connectivity and an ISO range of 100-32,000. That's all fine and dandy but arguably most impressive of all are two other additions. One very technical indeed, the other very simple. Proper photography nuts will love the Dual Pixel RAW format. This actually lets you adjust the point of sharpness, "shifting the foreground bokeh or reducing image ghosting." No we don't know what that means; it's from the press release. This won't rescue hopeless photos, but it will allow you to really perfect the sharpness of ones that are just that little bit off. The other major upgrade is smartphone-style, touchscreen control of focus and other settings. 4K pull focus with a swipe of your finger? Yes indeed! From our limited exposure - ho ho - to the Eos 5D Mk IV at an exclusive pre-release event, we've got to say this looks like a near perfect camera, and a very serious challenger to something like Sony's Alpha 7 or maybe Nikon's 810A.